MEN’S ICE HOCKEY— Get out the brooms, folks! Men’s hockey completed a two-game sweep this past weekend. After defeating Middlebury and Williams, Wesleyan is in a great position in the NESCAC with only two weekends of regular season play left. 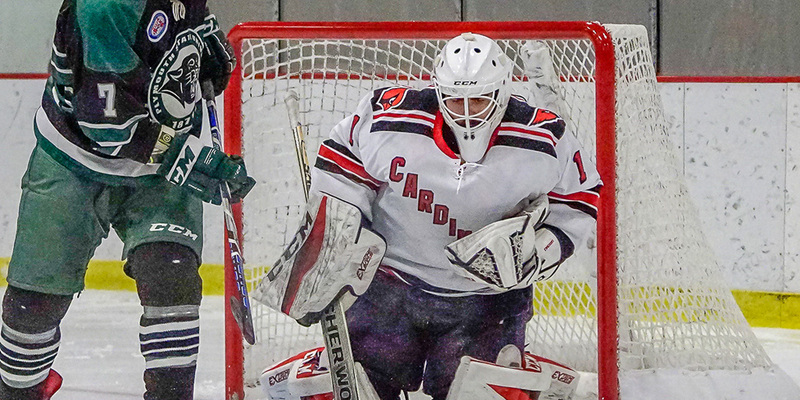 The Cardinals are currently third in the NESCAC with an overall record of 11-5-4. The Cards can’t overlook this next weekend, with games against Colby and Bowdoin. However, Wes awaits a major series with Trinity for the last weekend of NESCAC play. Trinity is currently in first place in the NESCAC and is one of the top teams in the country. The team played exceedingly well this past weekend with major contributions from Jordan Jancze ’18. With great senior leadership, the Cardinals have strict goals in sight. Last year, a tough loss ended the Red and Black’s season early, but the team is using that memory as fuel for this postseason. As they head into the final weeks of the regular season, the Red Birds know what it takes to accomplish their team goals and plan to do just that. The Red Birds have been playing disciplined games this year; opponents have only been on 68 power plays against Wes all season while the Cards have been on 95 power plays of their own. This next weekend, the Cardinals will travel to Maine to take on both Bowdoin and Colby. WOMEN’S— This past weekend, the women’s ice hockey team took on Middlebury, the top team in NESCAC. The Cardinals dropped both games to the Panthers. The team currently sits at eighth in the NESCAC standings with an overall record of 5-11-4. The Red and Black head into their last weeks of NESCAC play with two critical series against Trinity and Amherst. This far into the season, the team knows their strengths and weaknesses very well. It all starts with defense late in the game. The Cards have a minus-12 goal differential in the third period. If the team can improve that number in the next few weeks, they could be a threat to top contenders in the NESCAC tournament. The team has a strong sense of identity. The Cards play with a no-one-left-behind approach. As competition heats up, the Cardinals certainly have their work cut out for them the rest of the season. This upcoming weekend, the women take on Trinity in Hartford on Friday night and return for Senior Day in Middletown on Saturday.